The Sony Xperia L packs a 1750 mAh Li-Ion battery and, in theory, should be able to power the 4.3-incher at the front and dual-core processor inside quite successfully. However we’re not really the kind of guys that take anything for granted before checking what’s what ourselves. 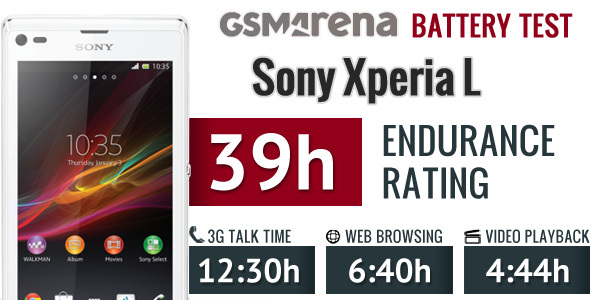 And so we did, check out the Xperia L battery test details after the jump. The Sony Xperia L started the test really well posting an impressive 12 and a half hours of talk time, which places it firmly in the upper half of the chart. Things were still looking quite good when it came to the the web browsing test. The Xperia L managed to last for 6:40h of continuous browsing, which was enough to place it above devices with similar price tags such as the Xperia P and Nokia Lumia 620. The big disappointment came from the video playback test, where the Sony Xperia L lasted the pretty mediocre 4:44h. While you can still rely on it to entertain a commute of average length, you won’t have much juice when you arrive. Stand-by wasn’t very impressive either and what we’re left with is an endurance rating of 39 hours. 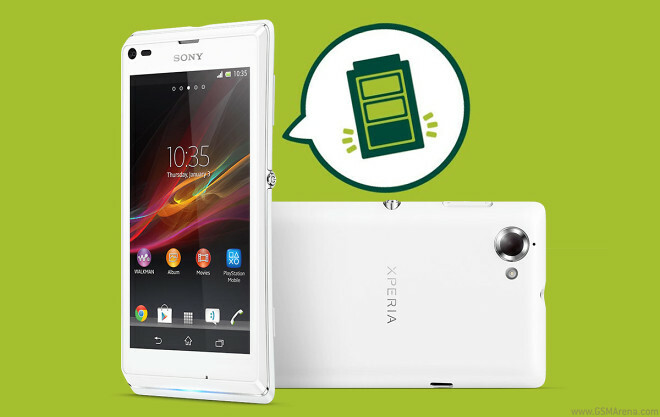 This means that if you do an hour of calls, browsing or video playback each day you’ll need to charge the Sony Xperia L every 39 hours, so more often than not you won’t be able to last for two full days.